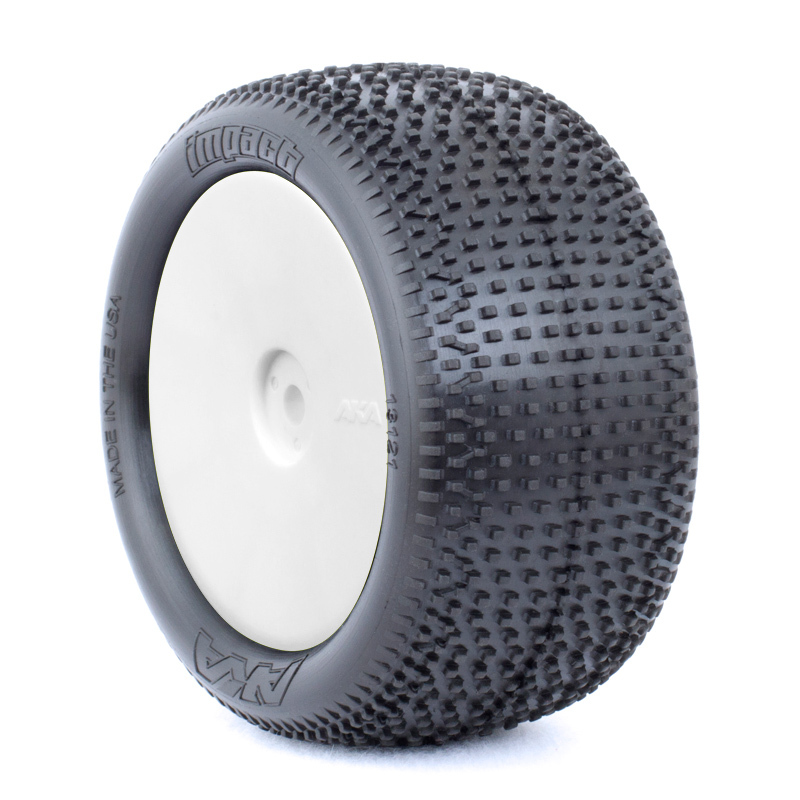 The IMPACT features a dense small square lug pattern with offset lug rows in the center of the tire to deliver maximum forward traction and good wear characteristics. The two outer rows of lugs are parallel to create a circumferential groove at the edge of the tire to give the tire very predicable side bite. This allows the car to rotate in the center of the turn while still feeling very stable and predictable entering and exiting the turn. 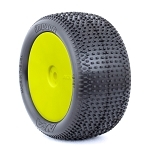 The IMPACT is ideal for loose, loamy, or very dusty outdoor tracks and is available in Soft and Super Soft compounds. Designed, tested, and made in the USA.